Ready or not, the holiday shopping season is here! 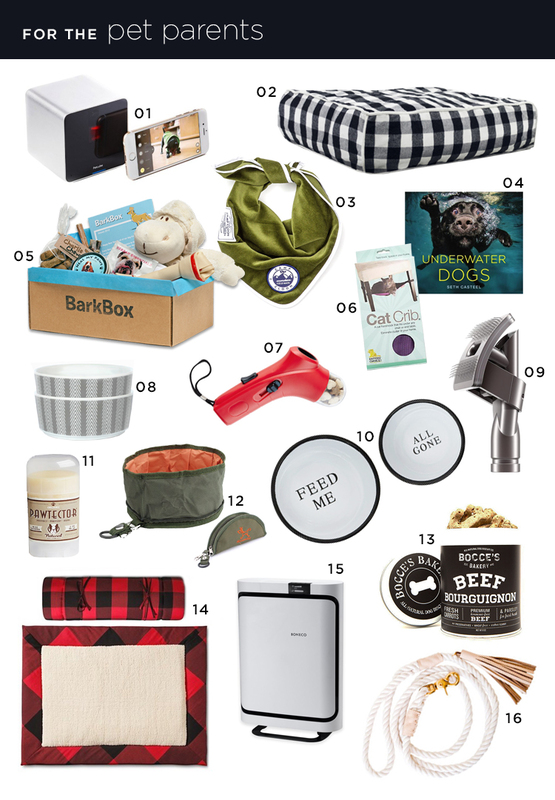 We’ve spent a ton of time compiling our most coveted products and items to create this gigantic gift guide for you (even better than our version last year!). We’re hoping to make your gifting a little easier by sparking ideas for every type of personality in your life. Hopefully you can find something that will please everyone on your list. We’ve tried to curate unique items of all different price points. Happy giving!! 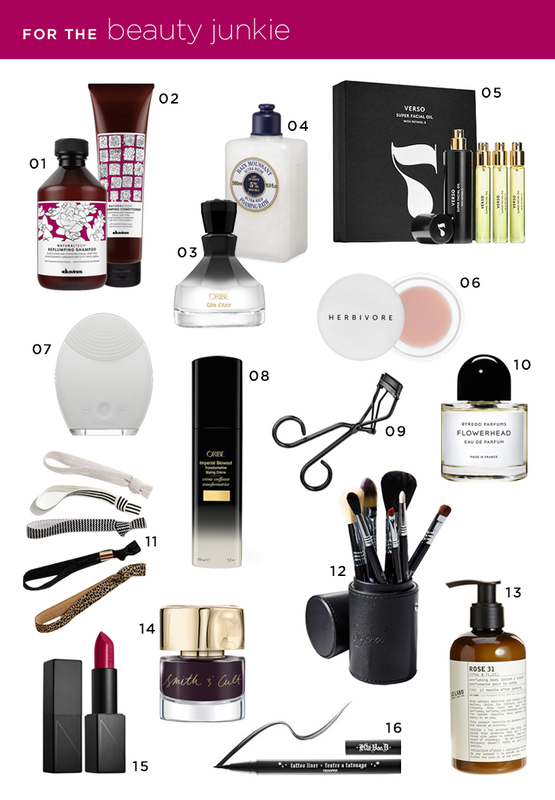 Looking for a hostess gift? These would be perfect for your friends and family who love to entertain! 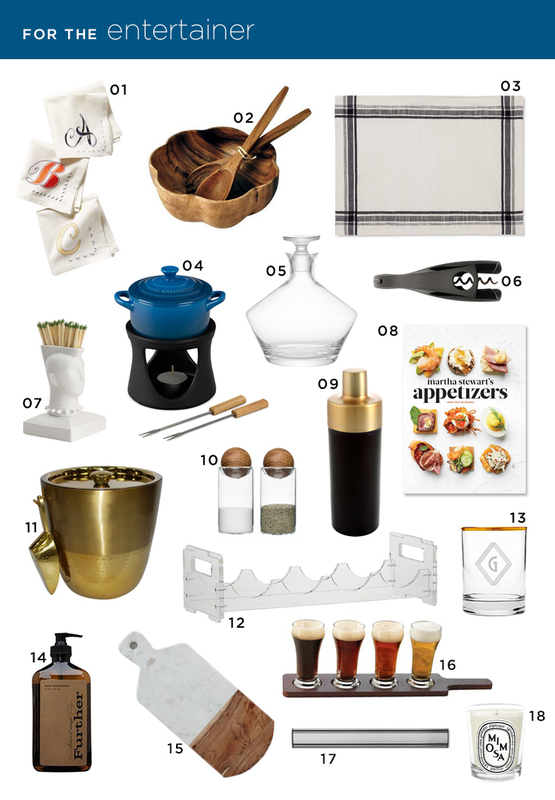 We’re dreaming of that mini fondue set that would be perfect for winter. Everyone has that fashion forward friend who can be difficult to shop for. You can’t go wrong with a nice candle, beanie, or pajama set. We’ve had our eye on that amazing zebra planter for awhile now. Imagine it filled with a tiny floral arrangement! 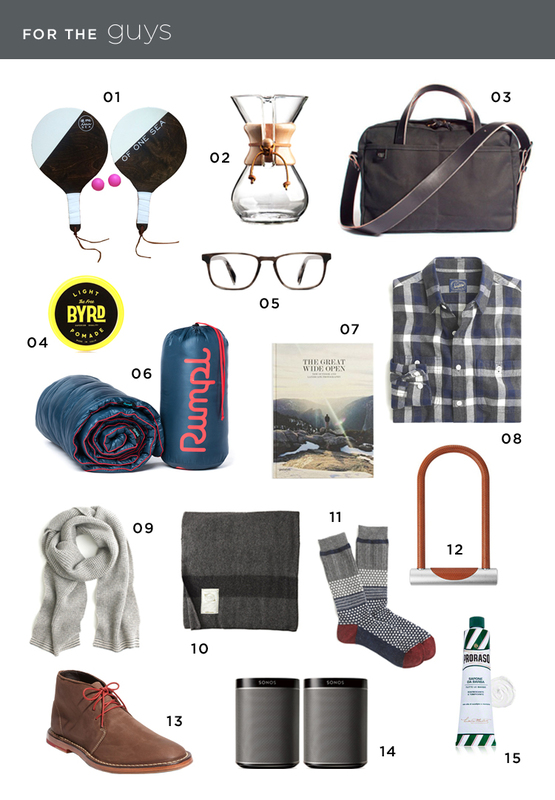 Not sure what to get your guy? Men have been raving about this shaving cream! If you’re looking for a bigger gift, you can’t go wrong with the black masculine Sonos speakers or puffy blanket, perfect for camping. Playful patterned socks make an easy stocking stuffer. 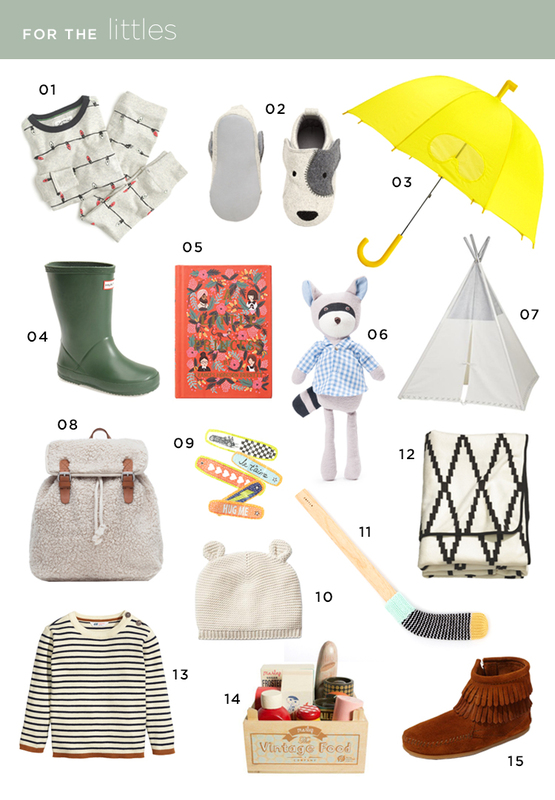 Shopping for kids can be so much fun! Our personal favorite? That adorable little teepee. Jacqueline has one in her classroom and the kids love it. We’re also eyeing that cute shearling backpack. 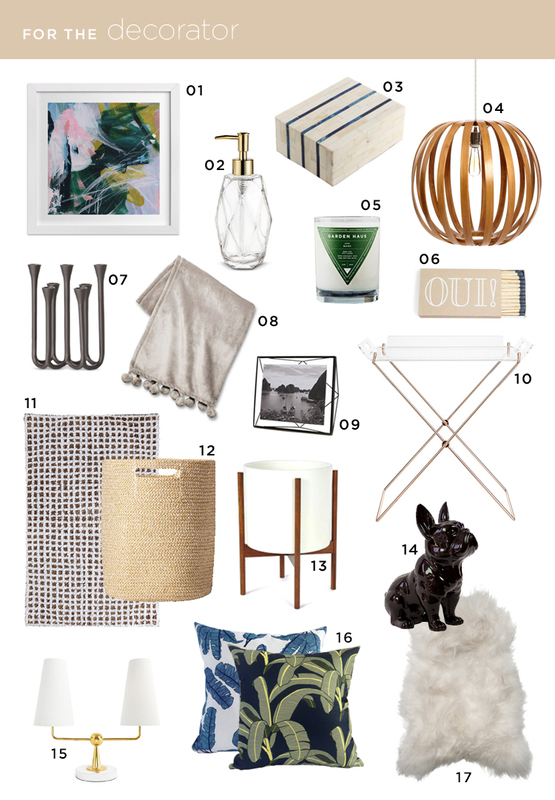 For the lady in your life who loves having a stylish home… our top picks include the planter, throw, and tray table. The Garden Haus candle is amazing; we definitely have a few of those stocked up for gifting. The amazing packaging is an added bonus. 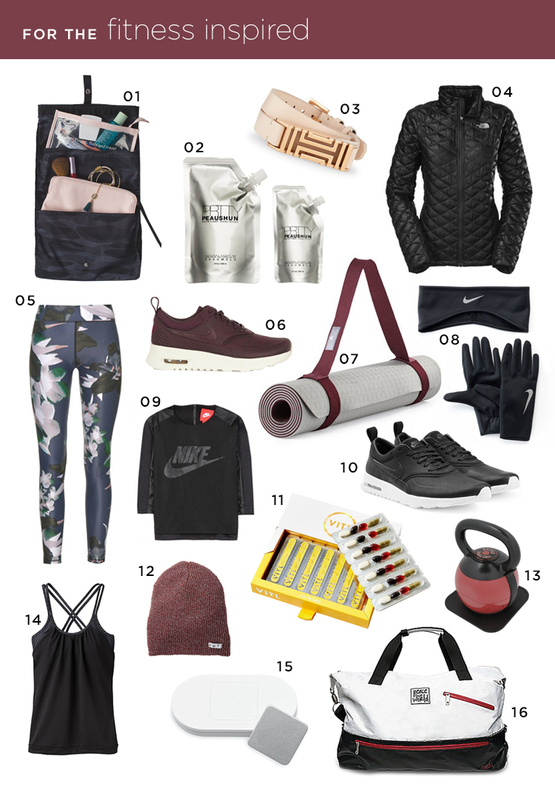 This season, we’ve got our hearts set on brand new gym shoes and workout gear. These vitamins are not just pretty packaging, they’re all of the essentials you need, in one easy sleeve. We also love that neutral yoga mat, complete with straps for easy transport to and from class. 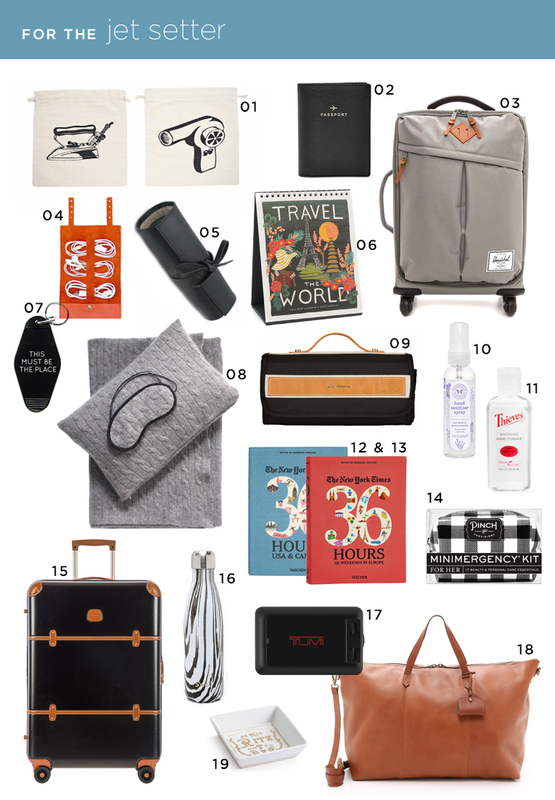 If you’re shopping for someone who is always on the go and constantly traveling, look no further. Items we own, that we can’t travel without: water bottle, sanitizer, and cord organizer. The one item that gets used more than any other (beside the carry-on luggage) has to be the jewelry roll. We take ours on every single trip. It makes packing jewelry so much easier; there’s a spot for earrings, bracelets, necklaces, rings, etc. No more untangling once you arrive at your destination! 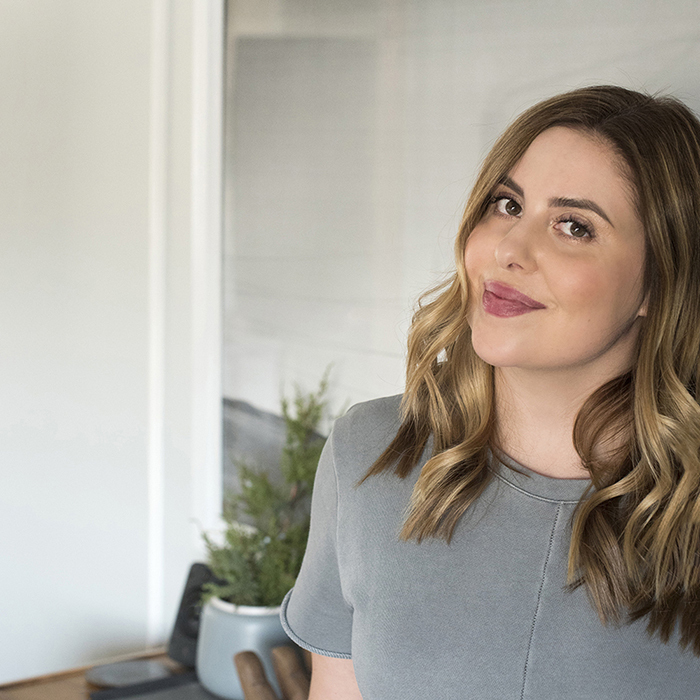 We’ve always been big fans of the Clarisonic, but this new beauty technology is making it’s way into our daily routine; in addition to cleansing, it’s great for anti-aging. We’re also loving the convenience of the cute travel brush set. If you’re anything like us, you treat your pets like family! We can’t imagine life without our fur babies and we always like to find things that make living with pets a little more enjoyable. We love hiking and this super cheap collapsible dog bowl is the perfect lightweight item to take along. Have you guys seen the interactive pet cameras in stores yet? It might be borderline crazy, but how much fun would it be to watch your pet and even talk to them through the camera?! The Dyson grooming attachment and air purifier help with pet odor and shedding. 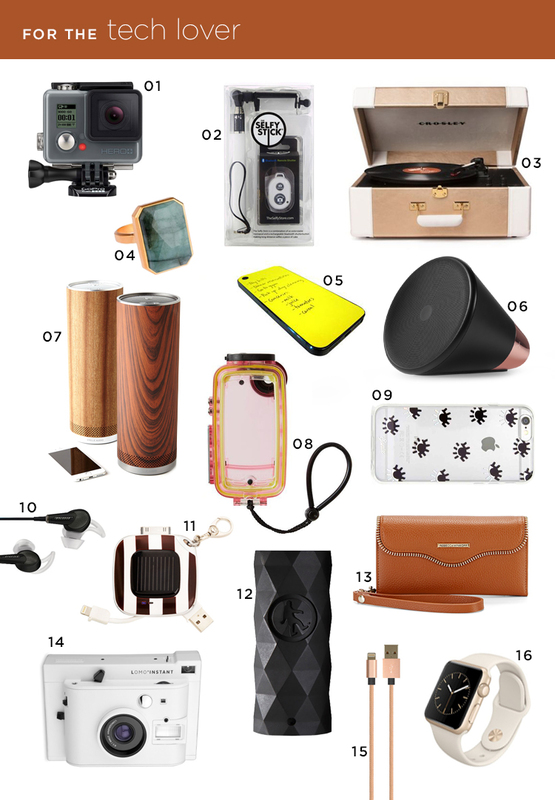 Although some tech items can be expensive, they’re great pieces to splurge on for the “big item”. We’re not going to lie, we jumped on the selfie stick train a few months ago (here’s proof). 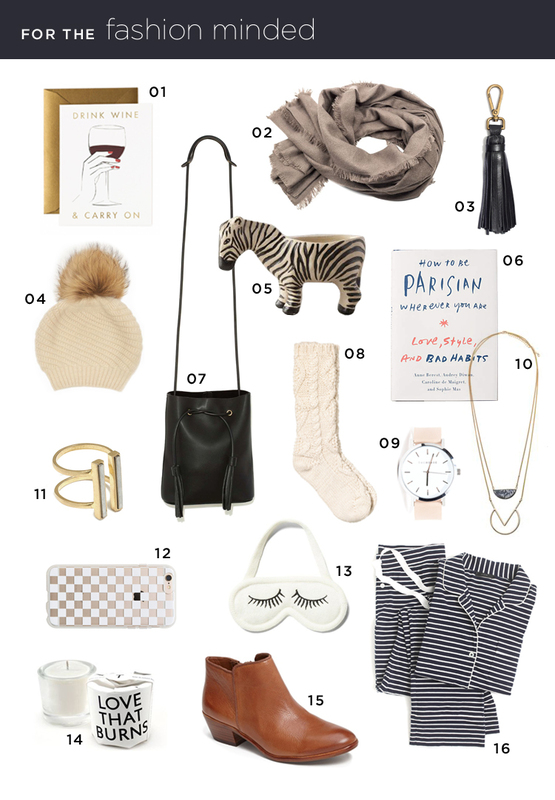 Our favorite from this list: #13… it’s a charging wristlet. That’s right! Place your phone inside and it begins charging. We love making lists and checking things off; the iPhone sticky notes are kind of genius. Any of the speakers are amazing, all for different reasons. Click through to find out more about each. 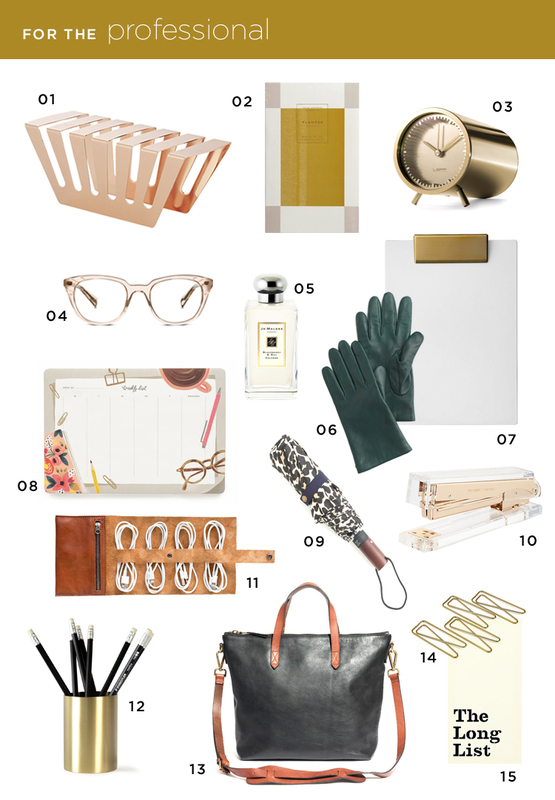 For the professional, we’re loving: the desk clock, the long list notepad, fun paperclips, and that tote! We both like to be super organized, so naturally we always have an ongoing list, a calendar open, and a day planner on hand. 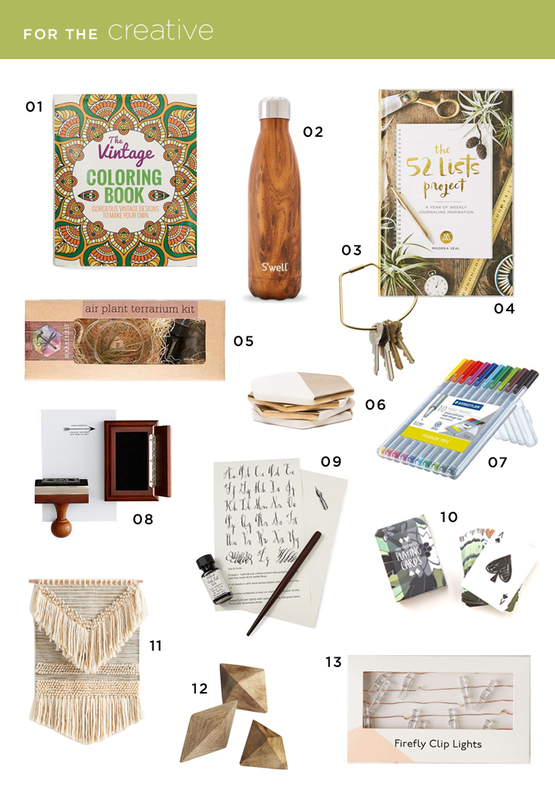 We love shopping for our creatives friends and family. The items are so fun and inspiring. Every once in awhile, it’s good to recharge and just make something. We had a lot of fun with the calligraphy and terrariums kits! Apparently adult coloring books are a thing now? That’s totally something we can promote. Ha! Thanks for letting us live vicariously live through you guys, pulling all of these fun products! Let us know your fave items from the lists. What do you secretly hope someone will gift you? We also want to encourage everyone to shop local; we’re sure many of the things we sourced can be found in stores near you. We’re doing a fun feature on one of our favorite local shops before Christmas… so if you’re nearby or in central Ohio, look for that one soon!